Enso uses natural technologies and processes to create mattresses, foundations and pillows. Whether it's our packaging, our products, our people or our philosophy, we are devoted to providing the best experience possible to everyone who touches our brand. 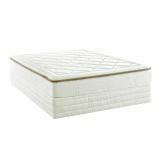 Enso memory foam mattresses, pillows and mattress foundations are built to stay clean and keep your sleeping environment fresh. We are devoted to creating sleep environments that keep you healthy and balanced. Choose from Enso mattresses, each created with the natural technologies and processes that keep your sleep space clean and fresh. Enso 9” Conventional Foundation has a poly velour knit cover and utilizes routed heavy duty construction. 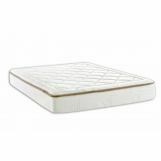 The Enso Dream Weaver is a 10-inch memory foam mattress with Aloe Vera added to the cover. Enso 9” Conventional Foundation has a poly velour knit cover and utilizes routed heavy duty construction. The Enso Dream Weaver mattress is composed of 1” CertiPUR-US® memory foam quilted to top panel and 2.5” of CertiPUR-US® memory foam in the body of the mattress. 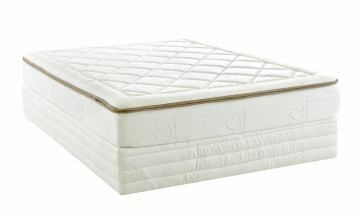 Beneath the memory foam level, a high-density border edge foam surrounds the entire mattress to help with edge support and tailoring. Enso 9” Conventional Foundation has a poly velour knit cover and utilizes routed heavy duty construction..